Discover the force of nature at High Force, one of the most spectacular waterfalls in England, located at Forest-in-Teesdale, in the heart of the Durham Dales, Co. Durham. 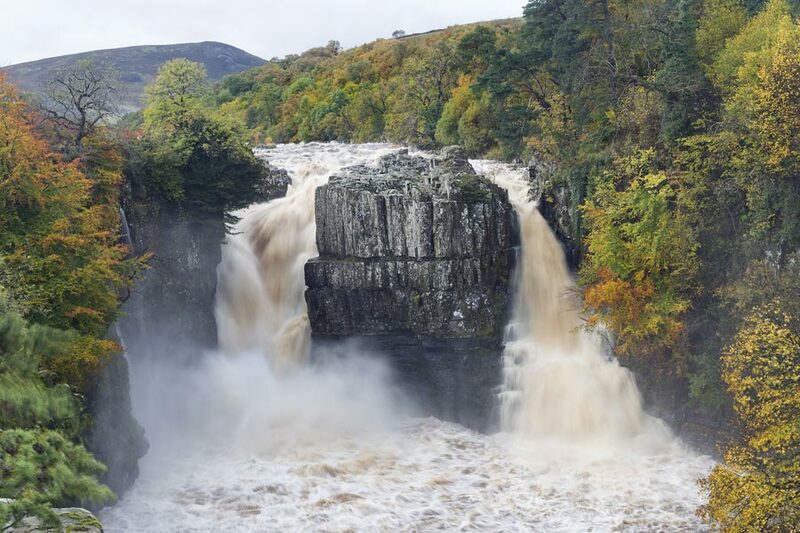 High Force is an incredible sight at any time of the year, however the Winter months can be when you are able to see it at its most powerful, especially after heavy rainfall when it flows with tremendous force. There is always something to do at Raby, whether it’s a delicious hot chocolate in the Tearooms in the Winter, or attending one of our open air theatre shows in the Summer. From its rise as a trickle, high on the heather covered fells at the top of the North Pennines, to the top of the whin sill rock at Forest-in-Teesdale, the River Tees steadily grows and gathers pace, then it suddenly and spectacularly drops 21 metres into the plunge pool below. A gentle and pretty woodland walk leads you to view this spectacular sight at the base of the falls. 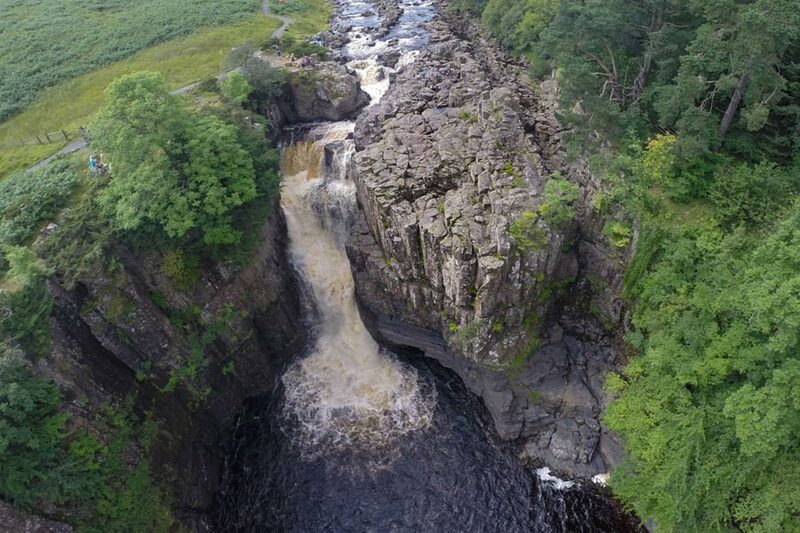 High Force is surrounded by the stunning countryside of Upper Teesdale and is situated in the North Pennines Area of Outstanding Natural Beauty. A variety of animal and plant life can be seen at High Force throughout the seasons, from a vast array of wildflowers, ferns and towering trees, to roe deer and rabbits. High Force is a sight to behold, and along with a well-maintained and picturesque car park and picnic area, from which walkers can set off along many way marked routes; it makes an ideal place to stop for a picnic and a base for exploring Teesdale and the North Pennines by car, bike or on foot.